Why I get all excited with old photos? And why do I feel compelled to write about them? I am not related to these people. Well maybe just a little with the little girl in front of her mother. 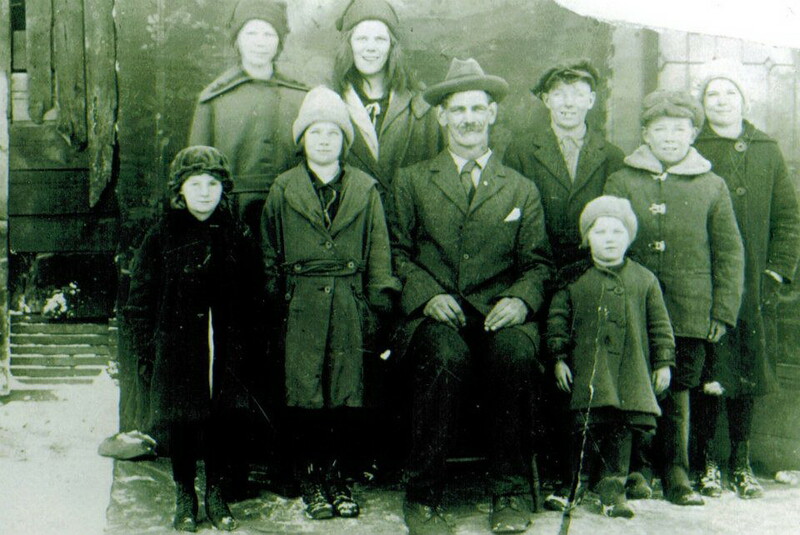 I had to know who this family was, when and where that photo was taken. Today is Halloween Day. 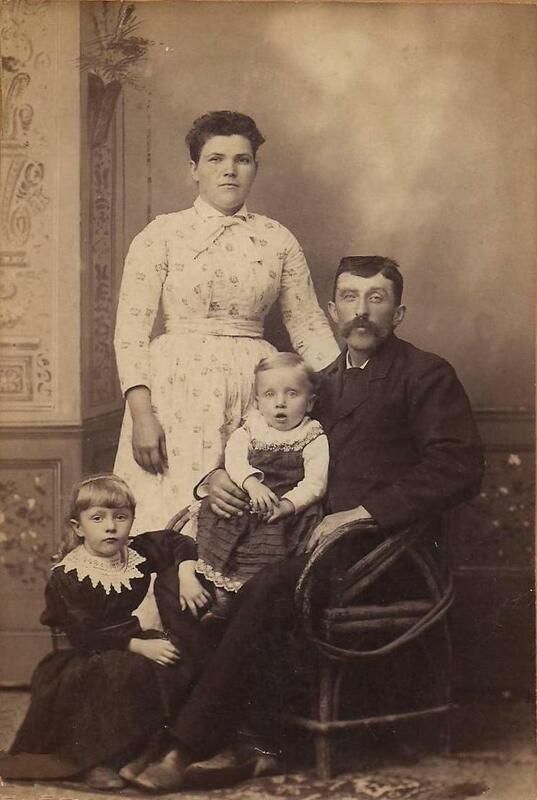 The man holding her little girl Mabel was born on October 31st, 1877. His wife Nellie Leggett would die in 1921 in Alberta. Thomas Welburn would not remarry and would raise his family alone. Who says genealogy is boring stuff? Not me of course, nor my good friend here. Ah oui, the famous Lamothe dossier! Hercule Poirot is back from his little vacation in Hammonasset Beach, and he is helping me with this Lamothe dossier. Hercule started first by looking at this picture with a young woman in the dark dress. In 2015, Dennis had called her the mysterious young woman. Our famous French detective says the photo must have been taken in the late 1910s or the early 1920s. Ida and her brother Levi Napoleon were there along with I first thought was their sister Odna Lagasse. Why were these people posing for posterity? Did Ida just got married? I have no idea, but Hercule Poirot led me to this other old picture I had since 2009. I knew five of these people in 2010. 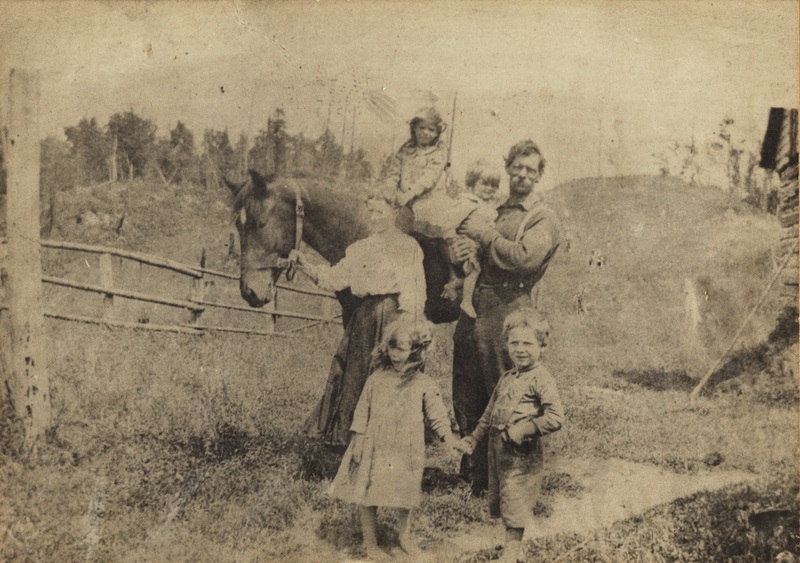 Pepere, Levi Napoleon and her sister Ida Lagasse were on this picture taken in the fall of 1916, as well as Little Germaine Lagasse with her father Victor Philippe Lagasse. I thought back then that Amanda Ménard was right behind little Germaine. It made sense having a grandmother with her granddaughter posing for posterity. The woman was her aunt Rose Elmira Lagasse, Pepere oldest daughter who was the wheel. Germaine’s “real” grandmother Amanda was behind her father Victor Philippe who was next to aunt Ida. There was a tall young man in the back who I could not identify. Hercule’s little brain cells got working again. He was sure Hector Philias Lamothe was the young man having his arms around his brother-in-law Levi Napoleon Lagasse. This should tell every one how much Hector and Levi were close. On Hector’s left was probably his brother Alphonse Lamothe. 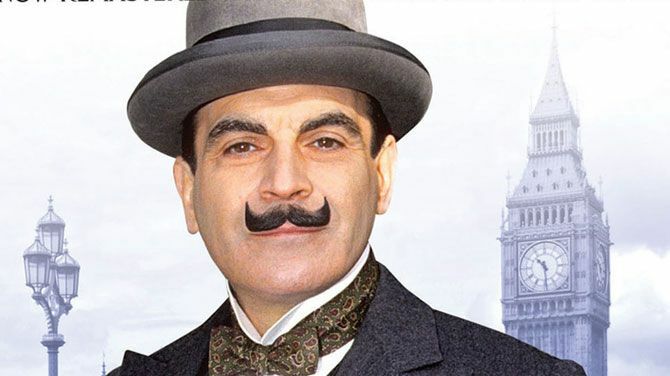 Hercule Poirot believes Helena Ritchie, born March 10, 1918, was in front of Alphonse. Helena was Odna Lagasse’s first child. Odna could be in the back if she is Odna of course. This little montage will help you find her. Hercule also noticed that the older man on the right was having his left hand on Alphonse’s shoulder. To Hercule Poirot that was an important clue. Could he be Hector and Alphonse Lamothe’s father or just someone keeping his balance? If not, then could he be a close relative, possibly their father Xavier Lamothe? If so we would now add a face to another ancestor’s name just like we did with Bertha’s name. Bertha was also there on the left with her head tilted to the right. 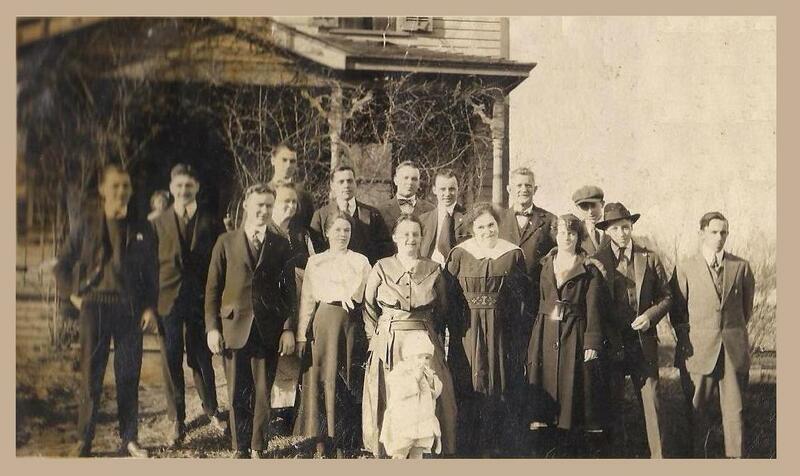 If William Austin is not on that photo, then that group picture was taken before his marriage with Bertha on November 16, 1921. Ida Lagasse, Bertha’s sister, is behind her husband Hector Philias Lamothe, and their daughter Jeannette Ida Lamotte, born May 3, 1920, is probably the other little girl behind Alphonse. All this makes sense, at least to me it does… If you are not confused, you many proceed. 20 people were on that photo. 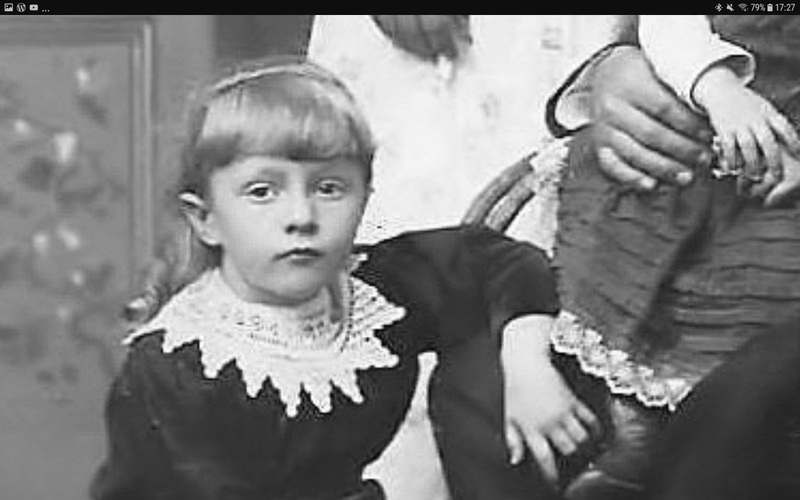 Hercule thinks he has identified two more people who could very well be Lillie Lagasse and Eugène Dubé’s children: Anna Dubé and Henry Anthony Dubé. I know who Anna and Henry Anthony were married to, and I know who were their children. Let’s get back to the Lamothe dossier. 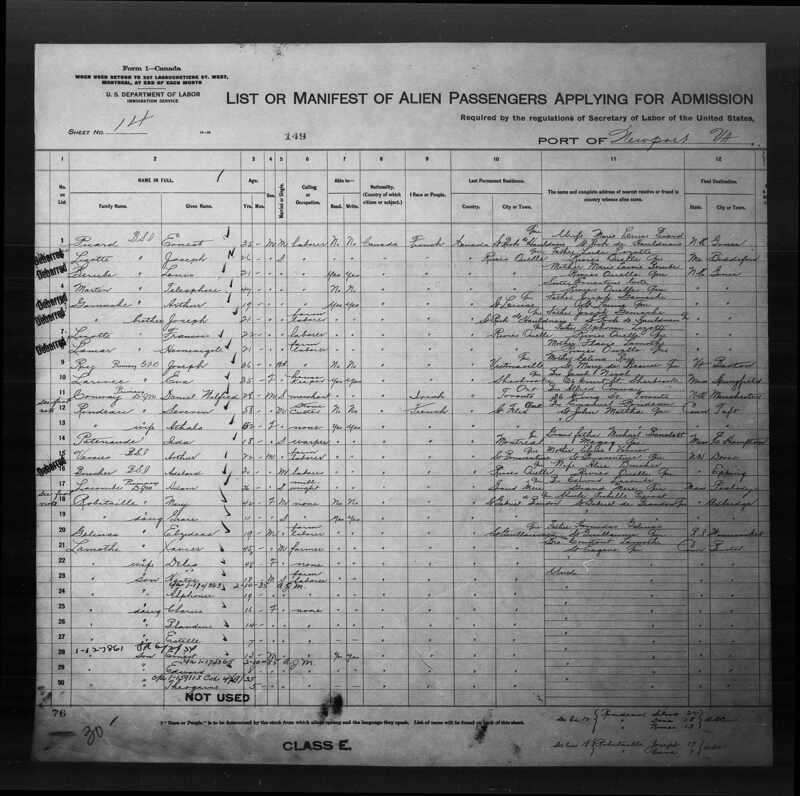 Hercule found a document on Family Search… List or Manifest of Alien Passengers Applying for Admission. Hector and Alphonse Lamothe’s parents had emigrated to Woonsocket, Rhode Island, in 1915, from Saint-Guillaume d’Upton in Quebec. The name Blandine Lamothe got Poirot’s brain cells acting up since I had a Blandine Lamothe in my family tree. She was married to Joseph Dubé, Malvina Lagasse’s son. It had to be the same person. Could more Dubés and Lamothes be on this group photo? What about Xavier Lamothe’s wife Delia Taillon? Could she be there also behind on Bertha’s left? And could Delia be also on this photo with Levi, Hector, and Ida which seems to be at her son’s Hector’s wedding? Finally, what about the mysterious young woman in the dark dress? 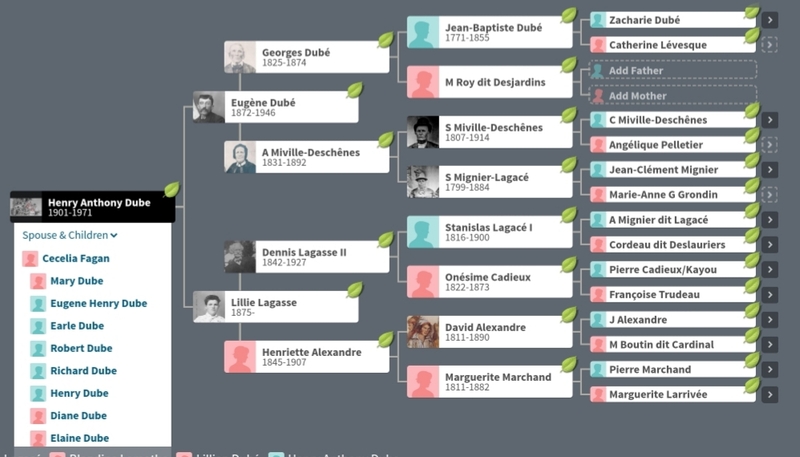 Could she be Blandine Lamothe next to their mother Delia Taillon with in front her two brothers Hector and Alphonse? And the woman wrapping her arms around Ida? At first I thought it was Odna Lagasse. But now Hercule Poirot might have another theory. She could be also a Lamothe! Indeed Dennis had so much information to share with his second cousin, except he really did not know how much. He did not know how much information was hidden in what was written in his great-grandfather’s obituary. Reading it gave me so many clues about Dennis Lagassey and Amanda Ménard’s 12 children and their spouses, his three brothers and three sisters, and who were there when the accident occurred. In turn, I had learned Dennis Lagassey was smoking the pipe. This person had several photos of Dennis like this one with Napoleon Dube who is on the right. Napoleon was there at the rolling mill when Dennis Lagassey died in 1922. In this other never seen before picture, we are chatting with Dennis and Amanda in their living room. There is a calendar on the wall. I can’t make out the month nor the year. As I wrote yesterday, every picture shared by readers of Our Ancestors has its own story to tell like this one with one baby and eight adults. What about this one with four men? I have some information and would love to share. Before we look at the famous Lamothe dossier, I want to share some thoughts that might explain what I am doing although most of my readers already know this. Pierre I can’t thank you enough for everything you’re doing, I really was lost when it came to family history. I saw photos when I was young and didn’t know much more than we came from Bristol CT. I heard once or twice about a Dennis before me that was killed at work in the 1920s but that was all I thought there was. To put names on the strangers smiling faces in the old photos gives me a sense of belonging that I’ve never felt before. I knew there had to be more than just “here I am”, now I have “where I’m from” thanks to you. In a way, my second cousin Dennis was born on October 10, 2011 when he first wrote since I did not know he had ever existed before. The only person who had existed in 2009 on my family tree on Ancestry related to Dennis was his grandfather Levi Napoleon Lagasse. Levi was seen here on an old picture shared by someone who never wrote back. Levi Napoleon was on the extreme right in the first row with his hands behind his back. Little by little this puzzling picture became an obsession. I just had to find out who were all these people starting from what was written on the original picture. 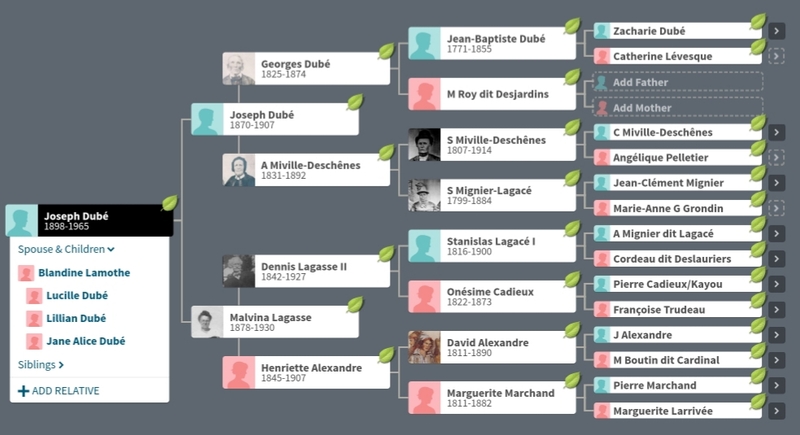 I knew one of them was my paternal grandfather’s brother Stanislas. Besides that there was little to go on until Dennis wrote. Levi’s name was written as well as Pepere’s and Aunt Ida’s. Pepere was Stanislas. Pepere a well known carpenter died in 1922. He was instantly killed. I hope you read the obituary since it gave me so many clues about his children and who were the two witnesses of the accident. I have come a long way since September 2009 when I first started writing Our Ancestors. Every picture shared by Dennis has its own story to tell. Without ever knowing it, Bertha has helped a far distant relative in his 10 year-old long search for his grandaunts Lillie and Malvina Lagasse who were his paternal grandfather’s sisters. My grandfather Léo probably never saw his sister Malvina again after he left his father Stanislas in 1907 when his mother Henriette died. Maybe Léo had already left before her death. Lillie and her husband Eugène Dubé came back to St-Hyacinthe for just a few years, then they went back to Bristol, Connecticut. I know this for a fact because I found that family in a 1911 Canadian census page. 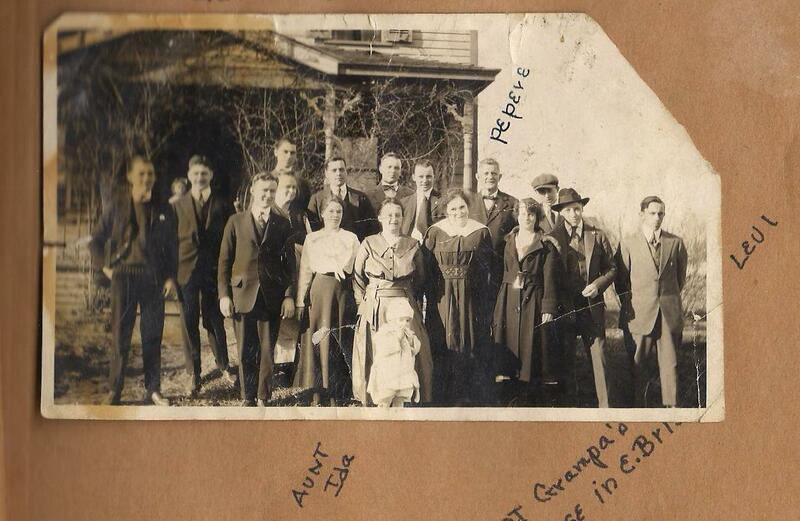 My grandfather Léo stayed in St-Hyacinthe, and was a boarder with the Gervais family in 1911. He then he got married in September 1912 to Maria Landry. They had a child Yvette who died 11 days later. In the 1920s he disappeared without a trace after his brother-in-law Omer Landry kicked him out of town because of his bad behaviour. This should be my final chapter on Bertha Lagasse and William Edward Austin. 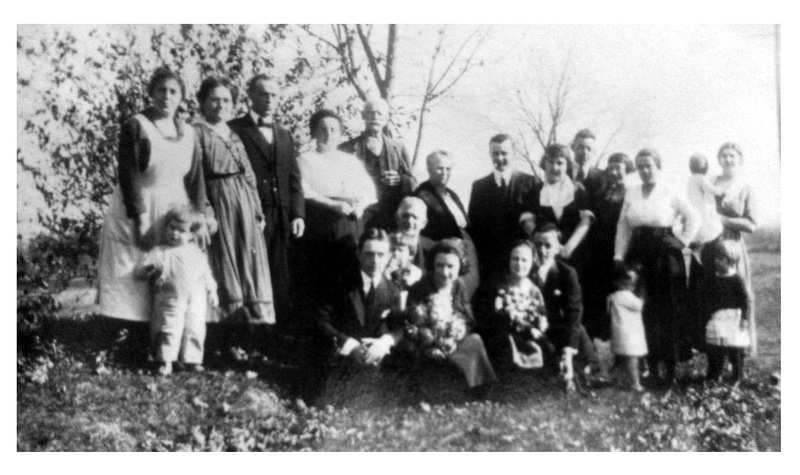 You should know by now that Bertha and William were married on November 16, 1921, and who most of these people on this old photo were. A few years back I thought it was Gertrude Lagasse and Frank Spielman’s wedding. This next photo is Bertha and William’s official wedding picture which was shared by Teresa Pease. Teresa sent me lots of Bertha and William’s pictures. How I got them is why I had created this blog in 2009. I never doubted for one second that descendants would start sharing their old pictures with me. People have been sharing because they won’t find a PayPal symbol on my blog or any of my other blogs for that matter. I don’t write for money. I write for the excitement and pleasure of finding relatives whom I never thought I had, especially south of the border (I live in Quebec). 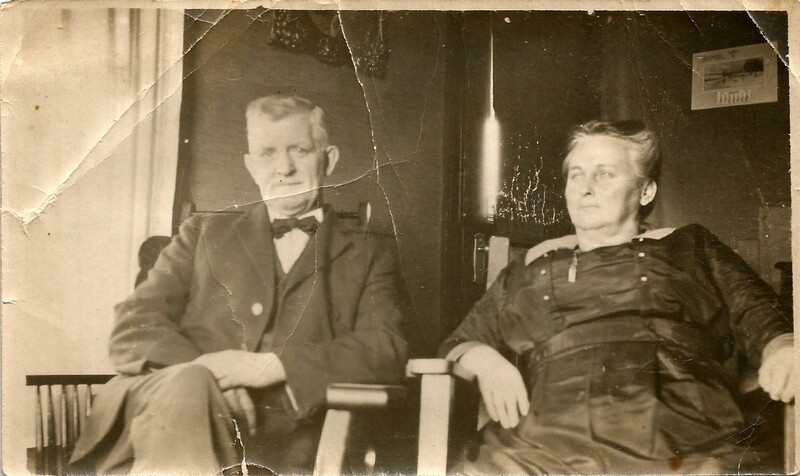 Bertha Lagasse proved to be a somewhat elusive young lady because I first thought she was someone else until Teresa found Our Ancestors, left a comment, and started sharing what old pictures she had of Bertha and William. Careful Rose, are you sure you know how to drive…? 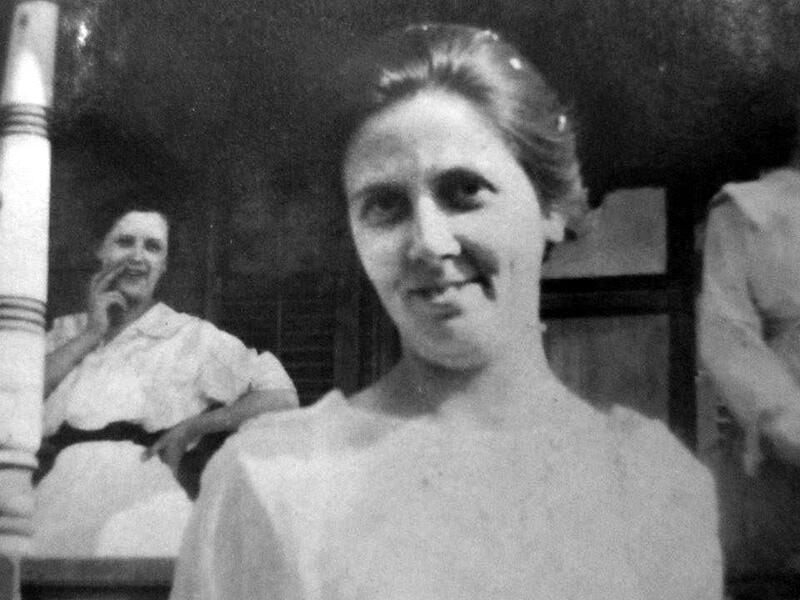 Two of the three other women seen here are probably Lilly and Malvina Lagasse. 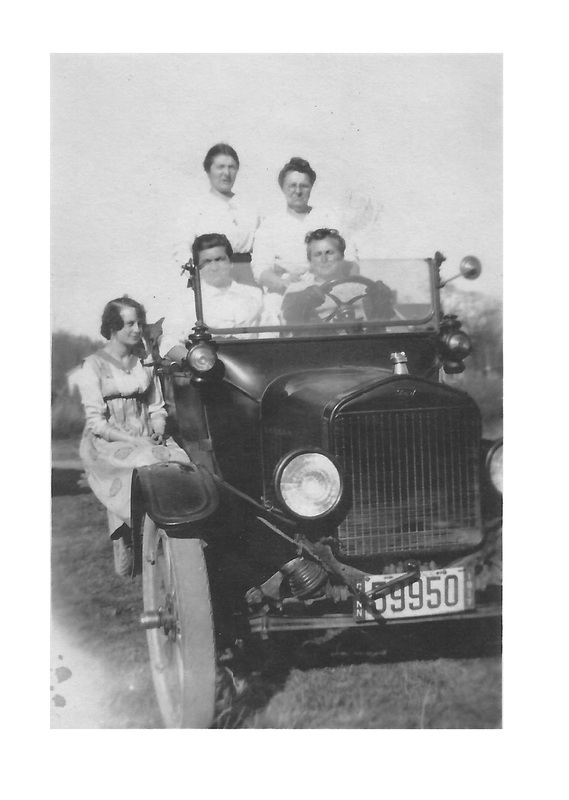 Malvina would be behind Rose, and Lillian would be on the front passenger seat. I still have doubt who is behind Lillie. She is most probably related to the Dubés since both Malvina and Lillie had married Dubés. Identifying people on old pictures was a sort of a hobby back in 2007. Then I got addicted, and now I can’t get enough of searching for people’s ancestors. Bertha is no more an unknown ancestor like William Austin whose one of his ancestors was Alexander Bennett who deserted his post during the Civil War. Alexander Bennett’s story is on Our Ancestors. Usually when we are searching for our ancestors we just start with a few names. In my case I had little to go on since my grandfather never talked to me, and my father talked very little about his father’s family. So I had to rely on names, headstones, census pages, official documents, and old photos I found. What triggered my interest about my paternal ancestors was a picture of Édouard Métayer who was one of my two paternal great-grandfathers. His old picture was in the living room of my paternal grandparents in the early 1950s. 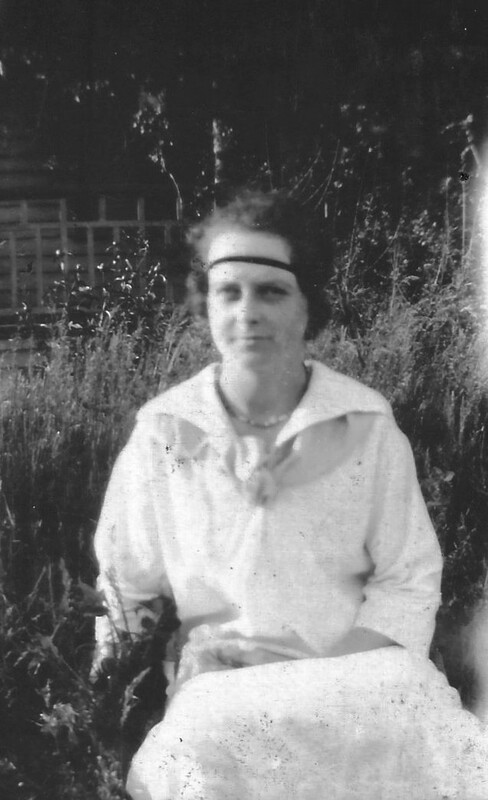 This is his daughter, my grandmother Juliette seen on a picture around 1929. 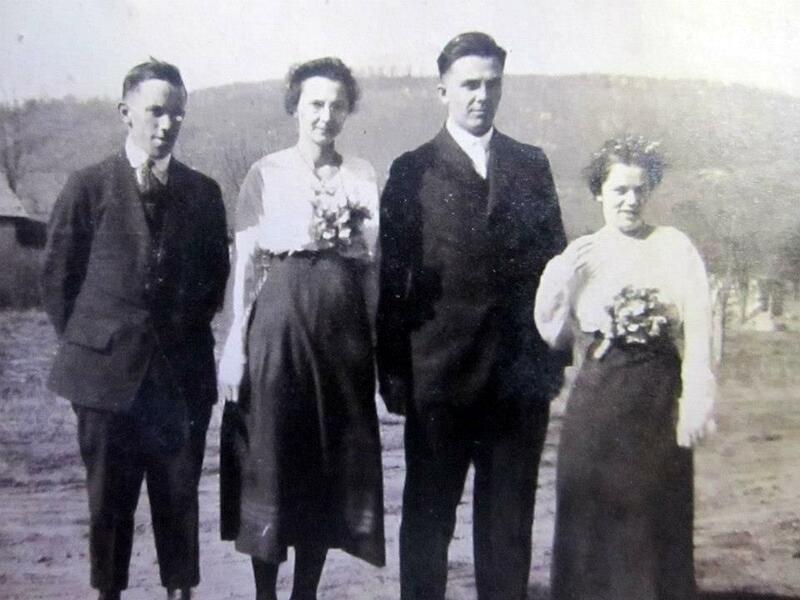 My grandmother Juliette Métayer is with her first son, my father (both are on the left). I have no idea who is the other woman and her son. My grandmother Juliette told me that her father had been a fire captain in Montreal in the early 1900s. When I was about 5 or 6 years-old, she told me how her father had died in 1928. I can only positively identify three people on this group picture, maybe five (with the two little girls). 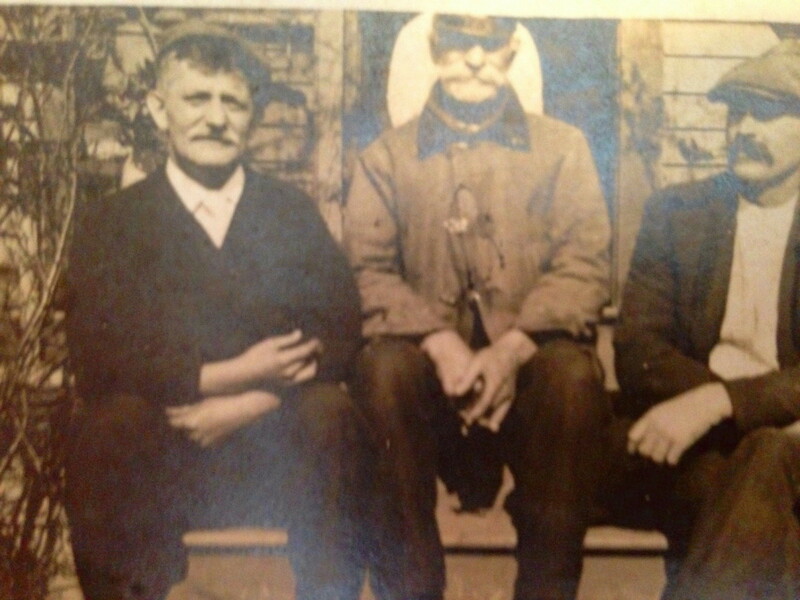 My great-grandfather Stanislas Lagasse is on the right with his arm crossed, wearing suspenders. His daughter-in-law Amanda Ménard is on the opposite side looking to the right. 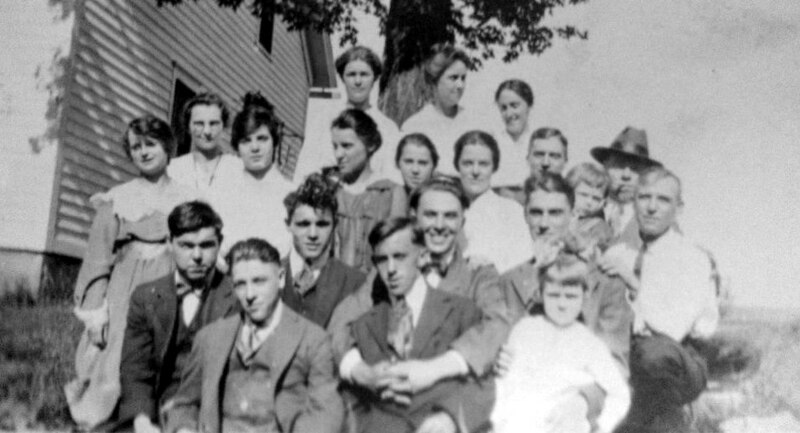 Amanda’s husband Dennis Lagassey, who would later die in 1922, is hidden in the middle of the pack in the back. Here are a few pictures of Dennis Lagassey so you will be able to spot him. I visited my granduncle Dennis Lagassey in 2012 when I visited third cousin Joe. Joe gave me a guided tour of St. Thomas Cemetery in Bristol, Connecticut. We were looking for Stanislas Lagasse’s grave. 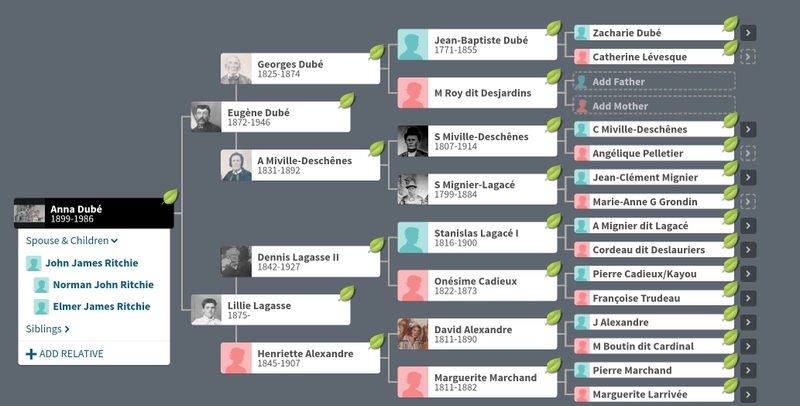 We never found it, but I believe my great-grandfather is resting in peace with his son Dennis as well as my great-grandmother Henriette Alexandre. I am still waiting for someone to find this blog and send me an old picture of Henriette who also went by the name Harriet or Hattie Alexander. It does not matter if I am wrong when I identify people on old pictures. I just keep on looking for clues. So does it really matter if I am right or wrong about my grandaunt Lillie Lagasse and her husband Eugène Dubé being on these old pictures? And their little girl Eva? Or is it Lillian? Anna Dubé was trying to drive a 1917 Ford Model T? I think it was Anna who was in the driver’s seat of a Ford Model T in 1917. I just love these two old pictures that were shared by my dearest distant cousin Dennis Lagasse IV. Dennis Lagasse IV’s father Lionel had more than 100 old pictures he had kept all these years, and he had shared them with his son who in turn shared them on Our Ancestors. 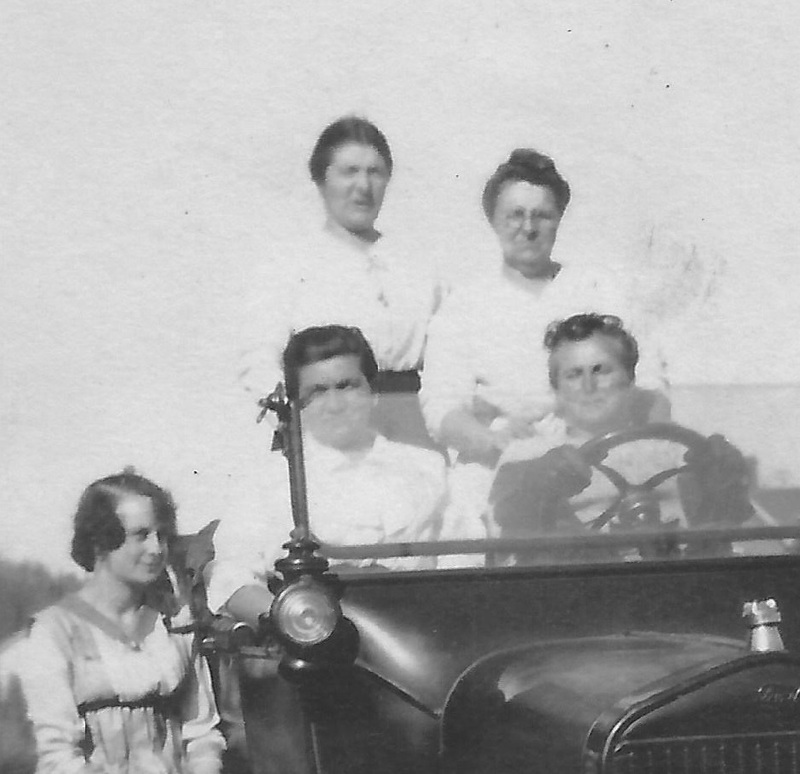 I believe my grandaunt Lillie Lagasse and her sister Malvina Lagasse are in the car. Lillie could be sitting on the front passenger seat. Looking at her face yesterday morning reminded me of someone, a beautiful young woman with her husband and two children. It was an old picture shared in 2009 by another of Dennis Lagassey’s descendant that I had filed under the name unknown couple. Could this be Lillie Lagasse with her husband Eugène Dubé who we were seen here again in 1921 at Bertha Lagasses’s wedding? Have You Driven a Ford Model T Lately? I think I have found who was trying to drive a Ford Model T in 1917. I know Bertha Lagasse was the young woman sitting on the right rear fender. Thanks to Teresa Pease I was able to identify her in 2015. Those photos were taken on the same day. It took me many years to figure out who was this unknown young man posing in front of a 1917 Ford Model T.
Little by little his face became familiar. I am not almost 100% sure it’s Hector Philias Lamothe, but I will keep an open mind if a descendant writes a comment one day. I believe it’s Lillie Lagasse’s daughter Anna Dubé. Again I might be wrong. If I have guessed it right then she might be also on these two old pictures. I hope my distant relatives in the USA are still enjoying Our Ancestors. I know I am. Writing has become a passion and a great way to share what I have been doing since 2009. I think I know who this young man is. 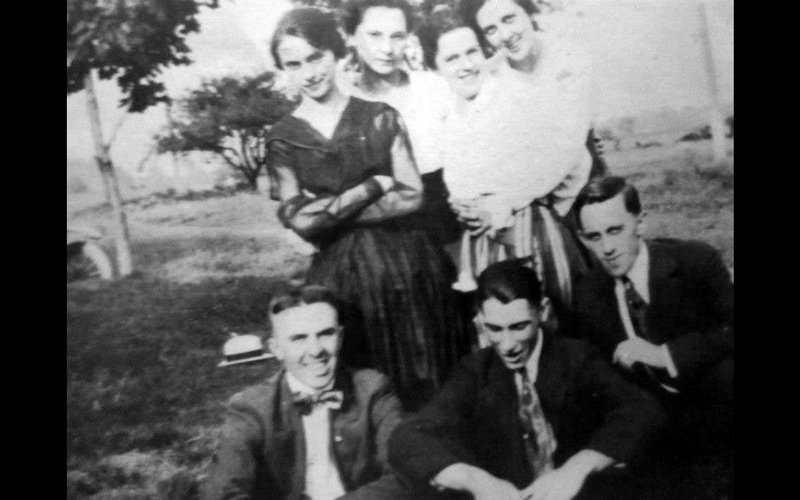 We can still see him on this group picture holding tight Levi Napoleon Lagasse who was Dennis Lagasse IV’s grandfather. I wish I had a similar picture of my grandfather Léo Lagassé being held that tight by someone in the later 1910s. I am sure we have here many Dubes or Dubés. Lagasses and Dubes were very close knit in-laws. Two Lagasse sisters married two Dube brothers. 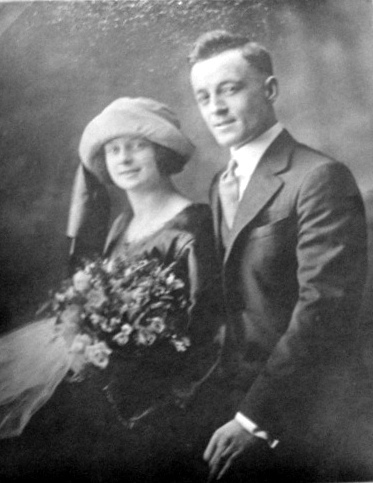 Lillian Lagassée married Eugene Dubé and Malvina Lagassée married Joseph Dubé. I found all their descendants. Well mostly all of them. 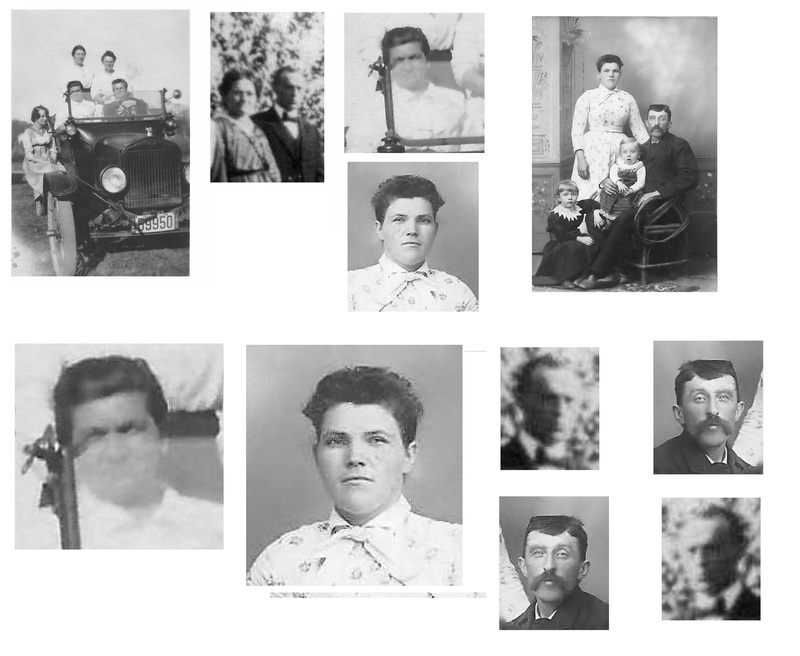 Finding descendants since 2009 and having them sharing pictures made this blog what it is. Some people were not even closely related like Robin who shared more than 100 pictures with me about the Combe family and the Alexandre family. I am most grateful to Robin as I am most grateful to Dennis Lagasse IV who did the same with more than 100 pictures also.